Flipkart, an online retail company often described as India’s Amazon, was founded in 2007 but has only just announced the launch of its iOS app today as it seeks to make a much-needed move into mobile. 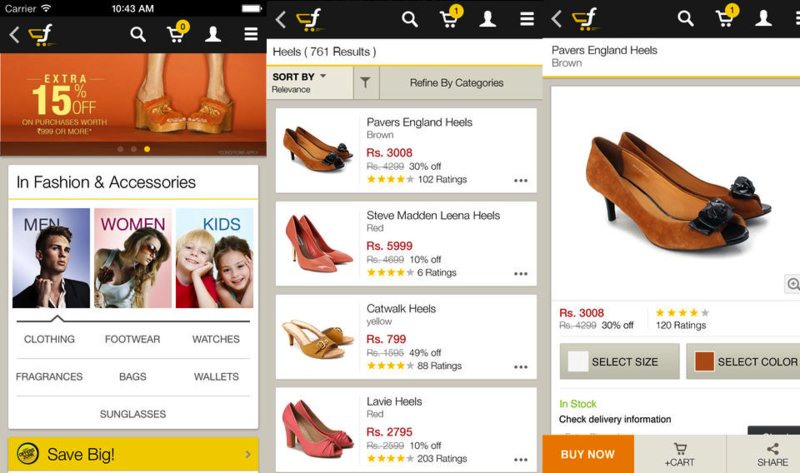 In September this year, Flipkart introduced its Android app. These two native apps will greatly help the e-commerce firm reach even more people in India, who are increasingly accessing the Internet via their mobiles and skipping the desktop experience. The Flipkart app lets users navigate through different departments to find products, search for products and narrow results through a filter function, view product images up close, and share links of products with your friends. Like Amazon, there are also product reviews to help buyers make a decision with their purchases. Payment options include Cash on Delivery, card payment, EMI and NetBanking, and you can track the status of items in your order. There has been a rapid growth of e-commerce in India — and Flipkart has been at the forefront of developments as it raised a massive $360 million Series E round in October this year, the largest ever raised by an Internet startup in India. As proof of the potential in the Indian market, Amazon also launched its service in the country in June.